Tim Holtz Idea-ology POCKET WATCH TH92910 at Simon Says STAMP! TH92910 /1.5 This item is on reserve until If you would like to reserve this item now, you may purchase it now with the rest of your order. We will hold your order now and ship your entire order as soon as this item is back into stock. If you would like your order to ship now, please place this item on a separate order. 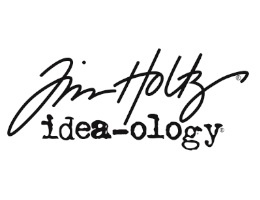 Success, Tim Holtz Idea-ology POCKET WATCH TH92910 has been shared! Looks like a real metal pocket watch without the face or time mechanism. Fill with photos, ephemera and small dimensional elements. Perfect for embellishing Configurations. Pocket watch - this one had me over the top excited! Years ago Tim used to teach workshops collaging inside real pocket watches. With both cost and watch availability limiting those workshops he found the solution - create his own. This time he's gone one step better and created a faux pocket watch designed specifically for collage. Sized at 2 inches in diameter and 0.25 inch deep and complete with a flat glass front and removable metal back, this timeless piece is perfect for holding vintage trinkets and of course lots of idea-ology embellishments.